I conducted some more investigation into mobile used of the internet. Following my blog entry from earlier this week about qr code landing page. The trend to use the mobile phone a primary instrument for internet usage seems to increase over the years, where the estimation is that mobile usage will surpass the normal desktop internet usage somewhere in 2014/2015. Looking around everyone seems to be constantly playing with their mobile phones. The social media giants like Facebook and Twitter made sure that they already supported access to their services via a mobile app. Not having a mobile (friendly) landing page is one of the worst mistakes made with QR Code usage, but when this trend of mobile usage surpassing desktop usage is being realized, having a mobile website will become a must. 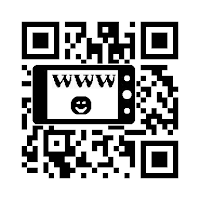 Since QR Codes usages matches pretty well with mobile website, I would think that QR Codes still have a long and successful life to live....... but I have been proven wrong on several occasions :-).